Benjamin and Mable Ford Family Reunion. Patricia Taylor brought this sample license plate holder to the Newport News, Virginia, reunion planning workshop. Pamela Williams, Fredricksburg, Virginia, reported that they raffled off “theme baskets” for their 2011 reunion, Ten committee members provided baskets containing items in various themes—beach, fishing, family history, etc. One of the lessons learned from this event was that you should always charge enough for tickets. Other fundraising projects were a “Nine Fruits of the Spirit” program, biggest loser competition, and a Christmas holiday raffle, which made $1,463. One of the fundraisers for their 80th reunion in 2012 was a directory/ad book. For the “Nine Fruits of the Spirit” program, each of nine ministers gave a message on one of the nine fruits of the Spirit taken from Galatians 5:22, 23 in the Bible: love, joy, peace, long suffering, gentleness, goodness, faith, meekness, and temperance. Each minister donated $50 toward this fundraiser and donations were also accepted from family members and friends who attended the service. It was a great fundraiser with a great message! 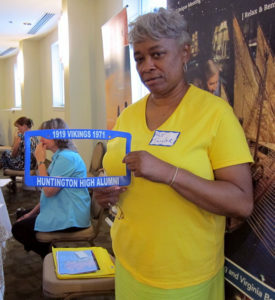 Lenora Harper, Upper Marlboro, Maryland, writes that past fundraisers of the Benjamin and Mable Ford Family Reunion include a family quilt which raised $800, theme baskets (each branch gets a theme and must work as a team to create a basket) which made $450, a souvenir ad book, and a silent auction. They have held outdoor movies, charging a fee and selling snacks. On off-years between reunions they have major fundraisers, such as a silent auction at their annual Easter egg hunt. A reunion attendance fee is charged, and they also sell a reunion DVD. They host silent auctions at most reunions – it keeps the fun in the meetings. Future fundraisers they plan are a family cookbook, fashion/talent show, bus trip, The Benjamin & Mable Ford Legacy” DVD, and a storybook with family pictures. They also celebrate an Easter Sunday egg hunt with gift bags and books for all the children, a silent auction for adults, a Summer Play Day for Children (giant moon bounce, outdoor games and food) and a silent auction. Writing in the Yankton Daily Press (South Dakota), Linda Wuebben reported that, in order to raise money for hall rent and ice cream, all the Becker cousins were invited to donate items for an end-of-the-day raffle. Items came from all over the country and wine was a popular prize. A silent auction also was held, with many priceless mementos of Becker trivia. Several large frames contained old photos of Bernard and Martha Becker, other descendents and even an advertisement from a 1920s Wynot newspaper which invited the public to a dance in the Fordyce Hall where the Becker Family Orchestra (Bernard’s sons and daughters) played. 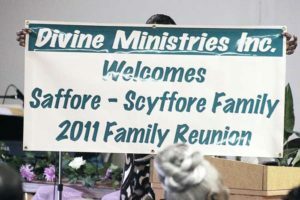 The Saffore-Scyffore Family Reunion committee had a “Service-Giving” Project. They asked every family member 18 years or older to bring one non-perishable food item for gift baskets. The gift baskets were donated to a less fortunate family (external to their family). 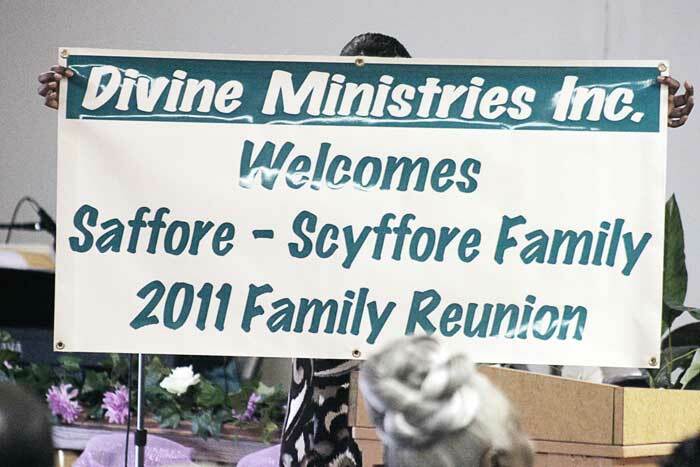 The 2012 family reunion celebration registration fee was $50 per adult (18-64 years of age). The registration fee covered the Friday “Opening Night Family Meet and Greet” expense, as well as the reunion picnic. There was no registration fee or t-shirt cost for family members 65 and older. T-shirts were prepaid only, with no inventory for sale at the reunion. Prices were $12 each for youth through adult XL and $15 for XXL and larger. Meal Sales are events they host where they sell a particular prepared dish. They have sold barbecue and chicken dinners, baked goods, snow cones, nachos and funnel cakes. Typically, when they have meal sales it’s in connection with another event. Food sells!! Christmas wreaths and other Christmas decor are great items to sell as well, handcrafted and wrapped per order. This year, a family member has started selling “diaper cakes” as a fundraiser—a great item for baby showers. How are the fundraising activities going in your area/chapter?? Whenever we travel a great distance, many variables must be considered. One major item is cost. It’s costly to travel, lodge, eat and be entertained. 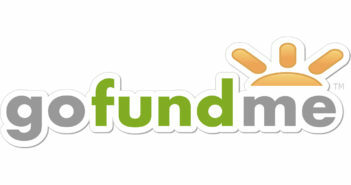 Fundraising places everyone on an even playing field, regardless of your personal income level. Everyone in the family has fundraising experience; some of you have fundraised for your church, school and community/social groups. So let’s place these skills and our networking circles to work and raise the money necessary to relieve the tension and financial strain, so we all can have a great time at the reunion. Every family member can make an impact, even if you’re the only family member in your geographical area. This is not just an adult effort; let’s make sure our children are engaged and working as well. Many of us are employed, some are in school and others have specific commitments. I can certainly understand that everyone has a full agenda, but let’s take the time to do what we need to do. Listed below are just some of the fundraising ideas that have been researched, but please do what’s comfortable for you and members of the family in your area. Please feel free to submit other fundraising ideas you may have. If you are interested in being a fundraising captain and leading a fundraising team in your area, please contact me. We want as many fundraising teams as possible. If your local or regional area would prefer to operate as one team, that’s fine as well; just appoint a leader and have that individual contact me. We have a lot of work ahead of us, but we can have a lot fun in the process. Let’s get Excited, Pumped, Motivated and Charged about doing something that will benefit the entire family. Be Blessed and look for more information to come. The Whitehurst Family Reunion produced a Souvenir Booklet and sold ads to family and friends. As an incentive, those who bought a full-page ad received a free Souvenir Booklet. They raised around $1000. They used Microsoft Publisher to build the pages and had them bound and printed at Office Max. Black and white pages kept costs down. You can ask your printer (Office Depot/Office Max) when they will have a sale on color ink pages, and have your booklets printed that day. There are many ways to pay for your reunion. Please share ways you pay for reunion expenses and I’ll share your unique ideas. 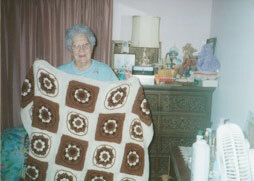 The Rash-Hines Family Reunion auctions a handmade afghan. In How to Have a Successful Family Reunion, Elsie Holloman advises that the planning committee set up an account at a bank or credit union with two people required to sign for transactions. If you have a large number of people or an expensive reunion paid for in installments — a cruise, for instance — this is a must. Develop a detailed budget. Initial costs include mailings and long-distance phone calls. Include some serious discussion of reunion expenses in the very first letter. Emma Wisdom in Planning a Family Reunion stresses the importance of keeping everyone informed about exactly what you’re “going to do with all that money.” She suggests requiring payment 90 days before the reunion so you have it to work with and you’ll know how many to expect. Wisdom’s other book, Family Reunion Organizer, suggests offering prizes to a number of the first people to send in registrations. Or, offer a discount to everyone who registers by a certain date. Doesn’t a discount for being early sound more attractive than a penalty for being late? You’ll need to decide what kind of reunion you want in order to estimate costs. Will it be a pot luck picnic with everyone bringing their own meals or a portion of the meal to share? Will your family have a banquet catered at your church or a restaurant? Will you stay at a hotel or resort? How about a reunion on a cruise ship? These basic choices help you decide what you’ll need to pay for your reunion. And while we will provide extensive suggestions concerning reunion fundraising, we’re only scratching the surface. Successful fundraising is good reunion news. 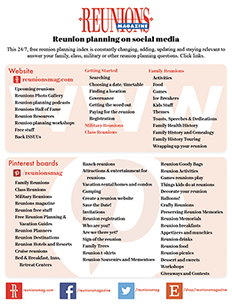 Help others enjoy their reunions by sharing your suggestions. You’ll need to decide what kind of reunion you want in order to estimate costs. Perhaps the most common ways that reunions are financed is by dividing all expenses equally, or having everyone pay individually for expenses they incur. With those possibilities at each extreme, let’s look at some other scenarios in between. The reunion should not cost more than any individual member can afford, or else provision must be made to cover the cost for everyone. Many reunions include fundraising activities which can be both lucrative and fun. I’ve always had the fantasy that someone might win the lottery and offer to use their largesse to pay for the family reunion — the interest alone would probably suffice! Other fantasies include convincing a wealthy relative to set up an endowment to sustain all future reunions, or winning a sweepstakes prize that awards reunions for your family in perpetuity. Okay, okay — you get the picture. Fantasy fundraising with an endowment is a little wild but has promise. There are as many ways to pay as there are reunions and reunion groups. First, determine your potential reunion expenses, decide what you can trim to lower costs, then figure out how to pay for everything. Historically, reunions were picnics at a park or on a farm where games were planned and food donated by attendees. But many reunions now last at least three days and are either the family vacation or a significant part of it. And all reunions have some costs associated with them. The on-site projects such as raffles and auctions require advance planning including soliciting donations and contributions for the activity, recruiting auctioneers and encouraging purchases by family members. Make it fun and generate enthusiasm to give generously and often. Fundraisers that require even more time to plan and execute are long-term projects such as soliciting corporate support, decorating and making quilts, collecting recipes and producing cookbooks and many other publishing projects such as directories, scrapbooks, and history books. Advance planning is also required for ordering personalized (imprinted) products such as t-shirts, caps, coffee mugs, pens, pencils…and many more items. Each reunion of the descendants of George Bullock, Sr. and his fourteen children with wives Sallie Jones and Fannie Anne Wooten, features souvenirs which incorporate a family crest designed by a then 16-year old Bullock family member, Renee Brown. Their souvenirs have run the gamut from t-shirts and caps to plaques, teddy bears wearing little sweaters with the Bullock crest, first aid kits, and umbrellas. An endless variety of specialized products are available to commemorate your reunion. Unless the desire for t-shirts or mugs is overwhelming, research and discuss mementos thoroughly before signing on the dotted line. Catalogs abound with many possibilities and you’ll want to explore lots of them. Do you want frisbees? Visor caps? Key rings? Belt buckles? Sweatshirts? Stuffed mascots? Pens? Pencils? Note pads? Consult others who have ordered imprinted items. Listen to what they say. Don’t defy a poor recommendation — it almost never turns out well! In the case of items that require sizes (t-shirts, sweatshirts, caps) you’ll have several ways to order. If you’re including the cost of t-shirts in registration, you’ll need to know everyone’s sizes and to do that you’ll need to send order forms at least six months before your reunion (because you’ll want to allow at least two months for the company to fulfill your order). Or you can guess the number in your family who will buy shirts, then guess the sizes and hope you’ll sell them all. Or you can ask everyone who wants an item to order and pay in advance by a firm deadline after which nothing can be ordered (although you’d be wise to front the money to buy a few extras for people who didn’t order when they had the chance). Avoid disappointment by allowing plenty of time for delivery of imprinted items. Some companies demand payment up front. Others accept orders payable by invoice. But nothing is worse than having an order that doesn’t arrive in time. All companies claim quick delivery. With advance notice the company can fill your order properly. Think about your order. Save money by omitting the year or other nonessential information on personalized items. You may have supplies left for the future. Food sales can net a nice profit if you carefully consider your reunion customers. Auctions or raffles are a theme for which there are dozens of variations. Many reunion groups solicit items their auctions by advertising in advance communications to membership. Later notices to promote the auction include a list of items donated — which serves as an incentive for others to donate. Encourage donations of artwork, crafts, home preserves, baked goods, etc. The great cooks in the group could offer to cook a meal for the purchaser. Members who own businesses can donate professional services or products. In the case of raffles, it is wise to check local and state regulations, if any, which may apply. Encourage donations of specialized local products if your reunion draws from a wide geographic area. 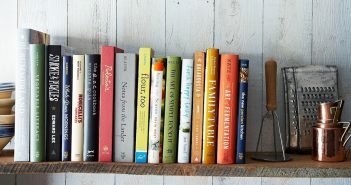 For example, note cards, prints, calendars or books about your home area; regional foods — Vermont maple syrup, Cajun spice blends, California or New York wines, or Wisconsin cheese; area products — Navajo jewelry, native crafts; CDs of local folk music. 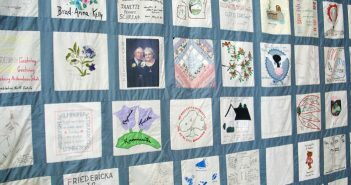 Next Article Where do you begin on raising money for family reunions?